Before anyone gets excited, there’s nothing new to report but we thought it was about time to provide an update on the situation… such as it is. 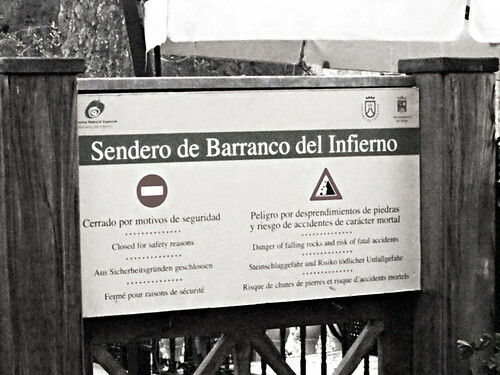 The Barranco del Infierno has been closed to the public for more than two years and there appears to be little sign of anything changing in the near future. Reports suggest that both the Tenerife Cabildo (Government) and the local authorities in Adeje want the Barranco to re-open but there has to be an agreement between both before it can happen. 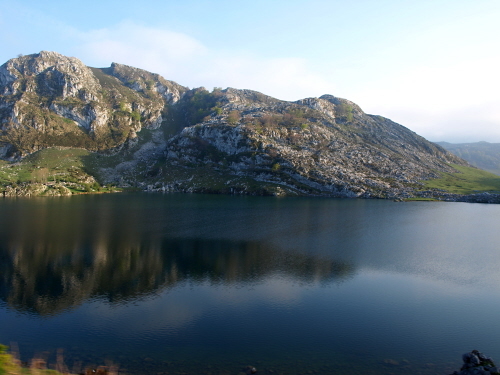 However, where the Cabildo suggested that the Barranco del Infierno could open if walkers were told of the risk and provided with a safety helmet, the local council in Adeje felt this wasn’t enough of a guarantee against injury and subsequent possible proceedings against them for criminal liability. 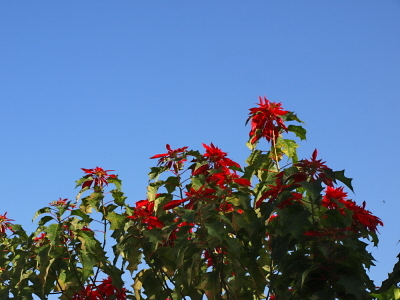 The result is that an impasse has been reached until this particular part of Tenerife’s natural beauty is made completely safe – not something easily achieved where nature is concerned. We checked the situation at the Barranco del Infierno out this week and sure enough the small offices and the gate at the entrance to the ravine remains closed. A sign warns of the risk of entering the ravine but, whilst we tucked into Adeje’s famous pollo al ajillo (garlic chicken) at Otelo’s, I counted four groups of walkers who completely ignored the warning signs. I can understand why the sign is ignored. All experienced walkers know that nature can be dangerous, it’s not a situation that is exclusive to the Barranco del Infierno. When walking on Tenerife, just like walking most places, you’ve got to be aware of your surroundings whether there is or isn’t a warning sign. The Barranco del Infierno may be closed but there are still plenty of people unofficially enjoying the second most popular walking route on Tenerife. The situation regarding Hell’s Ravine remains…well, hellish. Just got back the day i was there at least 20 people did the walk,no problems at all,why dont they make it free enter at your own risk. I was down there last week and like you saw at least 20 people + walk the barranco. Lots of people simply ignore the signs nowadays. I suppose they’re tired of waiting for anything to happen. But there is light at the end of the tunnel. 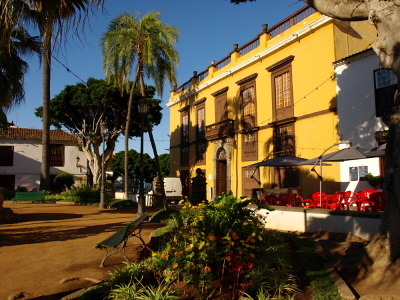 The latest news is that the barranco will open again some time this year. There are still a few technicalities to sort out and when we hear anything for definite we’ll add another update. Went today! Seems so silly that they won’t just open the door to the walk – instead climbers such as myself have to scramble down piping or through the fence. Its an accident waiting to happen. I agree that parts of the walk are dangerous, the path was severely erroding in parts. I think the government need to spend a little on reinforcing the weakened areas and sort out a better fence system. Thanks for the comment Donna, it’s interesting to hear about your experience. The problem is that there’s a political argument between the local council and Tenerife’s Government that can’t seem to reach a resolution. Ironically, it is all about being able to guarantee safety on the walk (impossible when you’re dealing with nature) which is why the route remains ‘officially’ closed. Many people still do it but, by ignoring the signs saying it’s closed, it means that if there was an accident the responsibility would fall entirely on the hiker. That might mean insurance companies as well. It’s something people need to think about before taking the risk. It’s a really unusual situation that just doesn’t apply anywhere else on the island… because they chose to monetise the walk. There’s talk about it re-opening before the year is out but from what you’ve seen, it sounds like there needs to be a bit of work to restore it. As no political agreement has even been reached yet, I’d be surprised if it happens. I was quite disappointed at not being able to complete it but as you say, the heat was completely relentless. After a third of the way I’d drunk one of the two bottles of water I had and knew that I couldn’t go any further. Better to call it quits and try again better equiped! The worst part of the path (for the part I walked) was about 20 minutes in. The path must have been no more than a step – I dared not look down! – its the areas like this that need a little work. It just needs a reinforced path. Thank you for the info on the issues behind it, I have a better understanding now. I’ve heard the Masca walk is also quite something, would you recommend it? We’ve just walked the Masca route recently and absolutely love it. Here’s our blog that describes what it’s like. 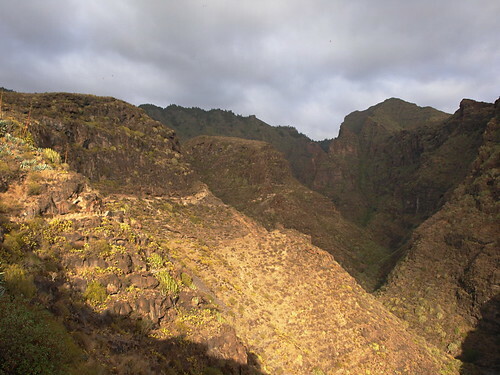 The only down side for me is that, with the Barranco del Infierno closed, Masca Barranco gets quite a lot of people walking in large tour groups who probably aren’t used to hiking and that can lead to some problems (paths being blocked by people who don’t shift etc). It can also be very, very busy because it’s so popular. We tend to do it both ways and the trip back up the ravine to the hamlet is more enjoyable (not for the muscles) because there are far fewer people about later in the afternoon. 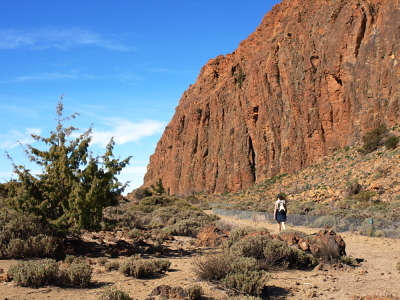 It is one of Tenerife’s classic walks though. The Barranco del Infierno being the exception as they charged people to walk it. Looks like it will be open again in a couple of weeks.